Five days into the new year, and there’s already evidence that we’ll see yet more multiple releases of the same vehicles and aircraft from the manufacturers. Feel free to yawn now, and don’t be surprised if someone else yawns, too. 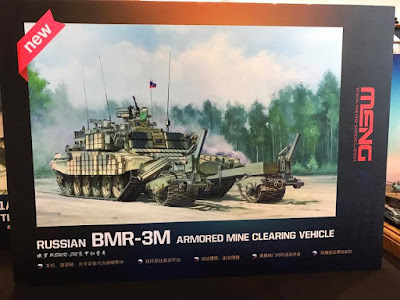 On January 1 Trumpeter announced a new kit of the BMR-3 on Facebook, and I complimented them on moving into the realm of engineering vehicles, an area that has been underserved by the manufacturers. But then yesterday Meng announced their own kit of the BMR-3. What the what is going on among the manufacturers? Why do we see so many concurrent announcements and releases of the same subjects? I pondered this question almost exactly a year ago. In that post I mentioned the T-10, SCUD-C, and MiG-31. 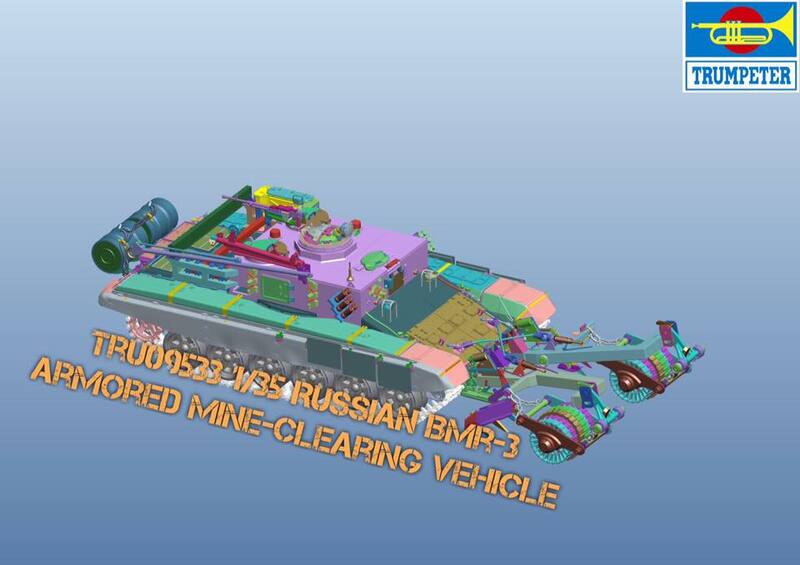 Since then we’ve seen three new kits of the Su-34, two kits of the ZSU-23 Shilka, two kits of the 9A52-2 Smerch, three of the BMPT, two of the King Tiger, and several M1A2 Abrams in its different incarnations. I point out this phenomenon again with the same frustration I felt a year ago, with the realization that for ever model kit that a manufacturer produces, it’s not producing something else. If Manufacturer A announces a kit of a vehicle or aircraft and then Manufacturer B decides to produce their own version of it, it means that Manufacturer B is not producing something else, something unique that could drive sales equally well. I don’t know who conceived the BMR-3 first, but the company that responded in kind should have chosen something different, like a BREM-1 T-72 recovery vehicle, which is not available in plastic form. At the beginning of every new year I'm excited about new kits that have not been previously announced (there are always surprises), but that excitement is tempered this year knowing that several kits will be variations on a theme. So, who's taking bets on how long it will be until Tiger or Takom announce their own BMR-3? IMHO, it's the various Asian companies playing at keeping up with the Jones's. And, yes, it makes absolutely no sense.